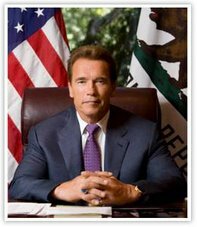 Carbon Coalition Against Global Warming: "Rivers of Cash" - Soil Carbon Bonanza? 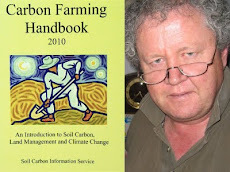 When Terry McCosker announced that soil carbon would bring 'rivers of cash' into regional economies several years ago, he was derided as a snake oil salesman by sober, conservative members of the agricultural business community. 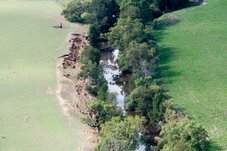 With the announcement of the successful trials of new measurement technology in conjunction with the CSIRO, the rivers are getting closer. Terry's own data, collected over decades, gave him an early indication of the potential rate of soil carbon sequestration. He has clients measuring the impact of grazing management against conventional management who have recorded increases of 0.4%C/Ha over 10 years. His latest data from properties in the New England have soils sequestering carbon at 4 times that rate in two years. Terry believes graziers making $60/ha/yr from animal production could be earning an extra $70/Ha/yr over a period from 20 to 40 years. 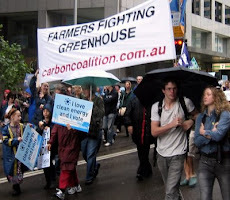 But Terry is advising farmers to baseline as soon as they can - the CSIRO system might be commercialised within 6 months - but to wait until the 100 Years requirement is made more reasonable before trading in soil carbon credits. 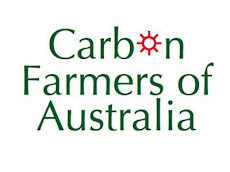 For more information about Carbon Farming, visit Carbon Farmers of Australia.